Tropical background with monstera, palm and fern leaves. 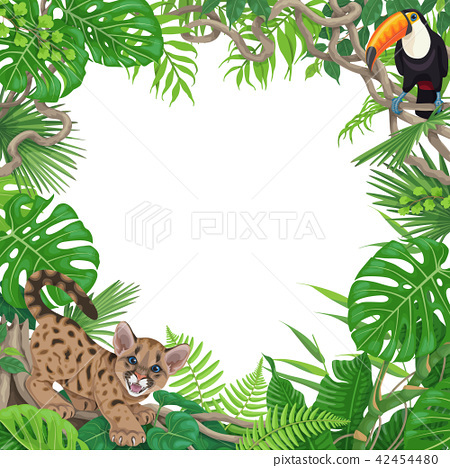 Floral frame with funny angry puma cub and toucan sitting on liana branch. Space for text. Rainforest foliage border vector flat illustration.